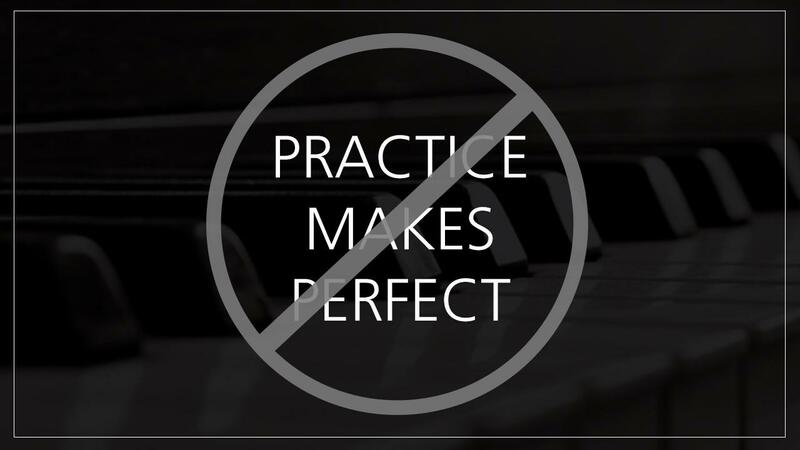 Have you ever heard the phrase "Practice Makes Perfect"? Well, beyond popular belief, this is actually FALSE! Practice DOES NOT make perfect. Let me give you an example: If I played baseball and always practiced swinging too early when up to bat, after a while it would become second nature and I would NEVER hit the ball! The same is true for anything in life and especially when practicing the piano. Now let me give you a new phrase... "Practice Makes Permanent". That's right. Whatever you do in practice, you will do in performance. That's why is so important to practice correctly! Take your time. Make sure you a comfortable with what you are learning before moving on. You and/or your child may be tempted to move on early. They might get bored with practicing the same thing for two weeks, but trust me, this is a very important step. It takes a beginner about 2 weeks to fully grasp each chapter's concepts and become comfortable with what they are playing. It's very important to practice daily or as close to daily as possible. It's just like working out. You don't build a six-pack overnight. Much of playing the piano is about muscle memory, and that simply takes time. So encourage your kids to practice... practice daily... and don't get in a rush. And in the end it will be worth it!